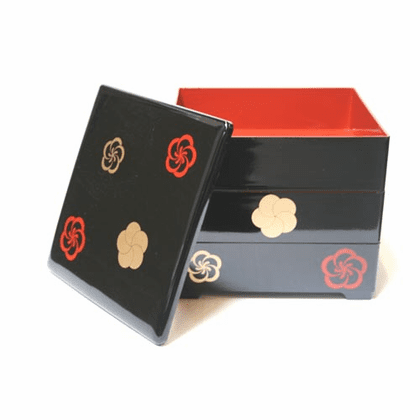 Traditional Japanese new years' lacquer ware serving box. Can be used all year round. Has three tiers with a decorative gold and red plum blossom motif. Interior is glossy red. 7-1/2 inches square by 7-1/4 tall. Made of durable plastic. Please hand wash.